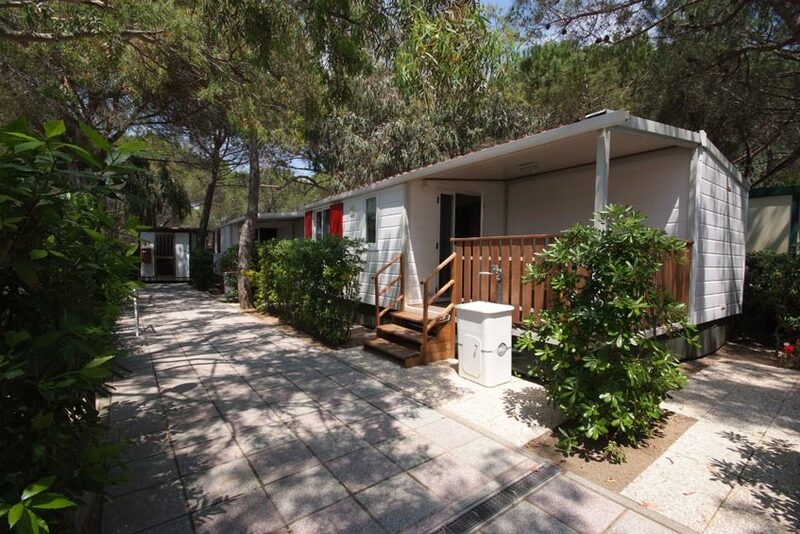 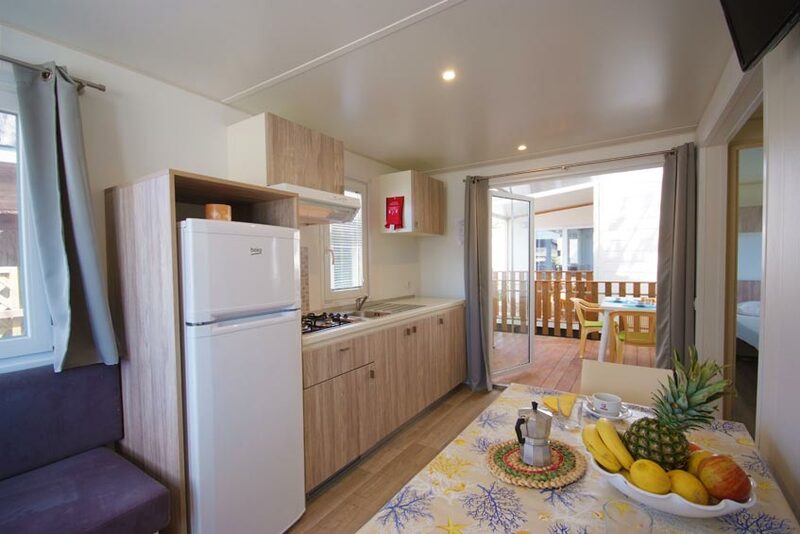 All the bungalows have 3 rooms that sleep up to 4 + 2 people, and consist of: dining room with kitchenette, one bedroom with double bed, one bedroom with two single beds, bathroom with shower and bidet, patio with table and chairs. 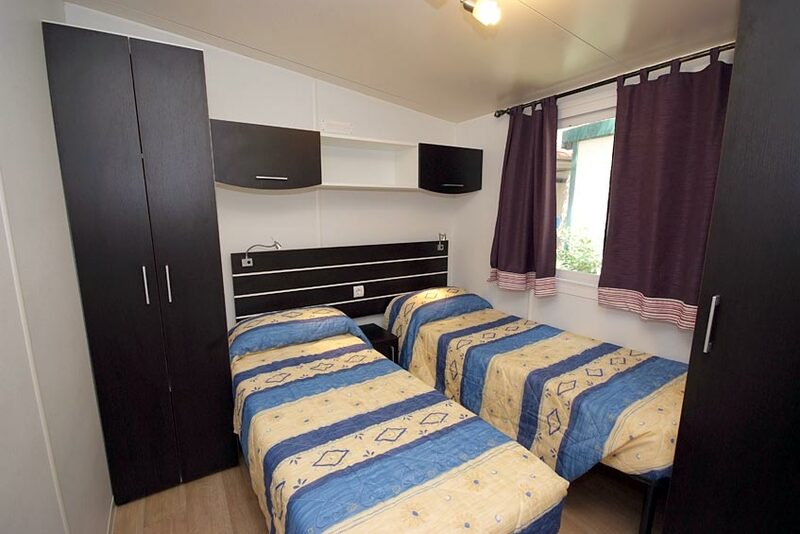 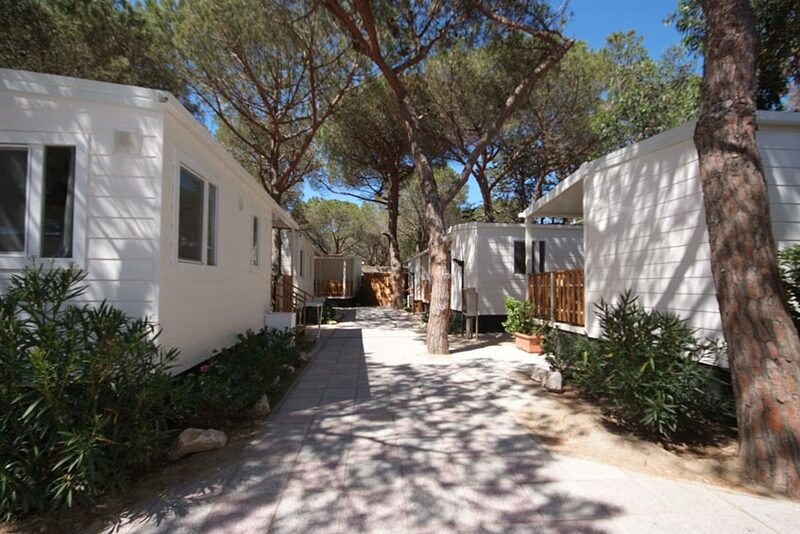 They also have air conditioning, Sat TV, microwave oven and fridge-freezer. 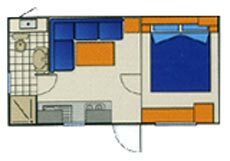 Extra 5th or 6th bed in the dinette. 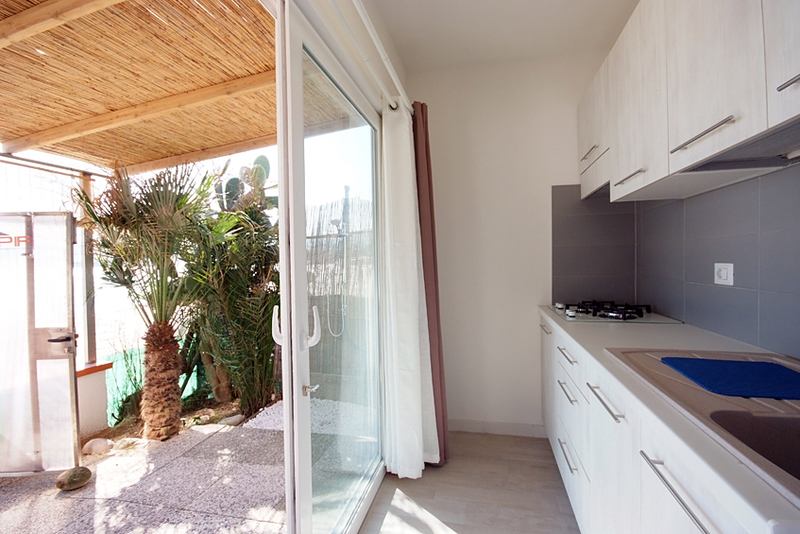 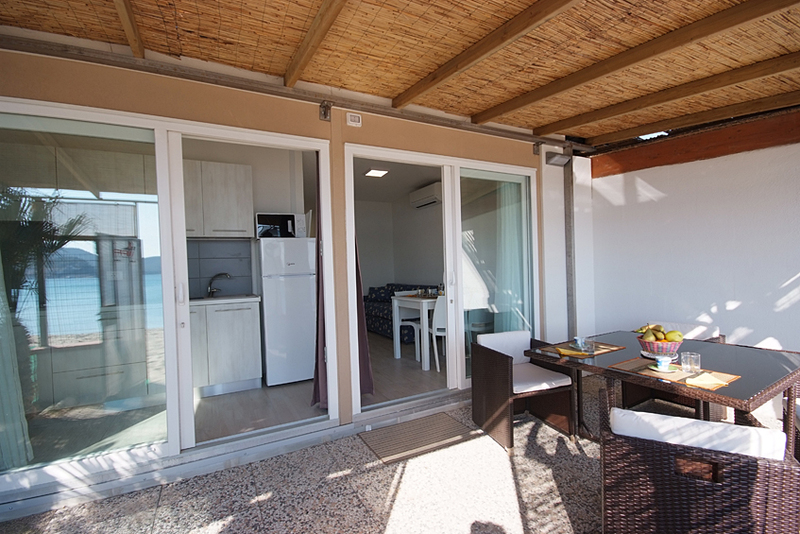 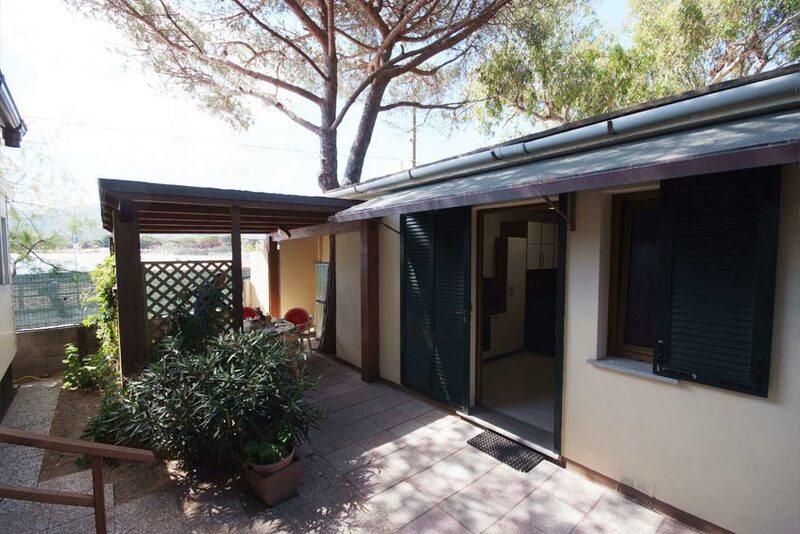 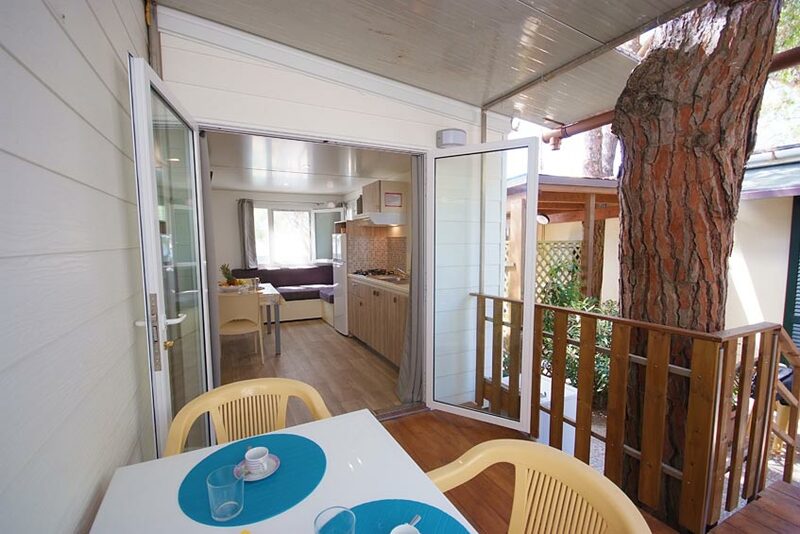 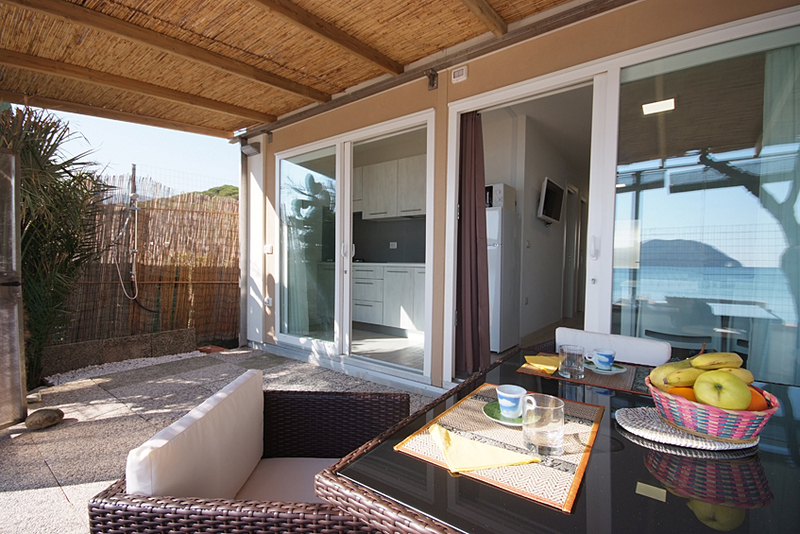 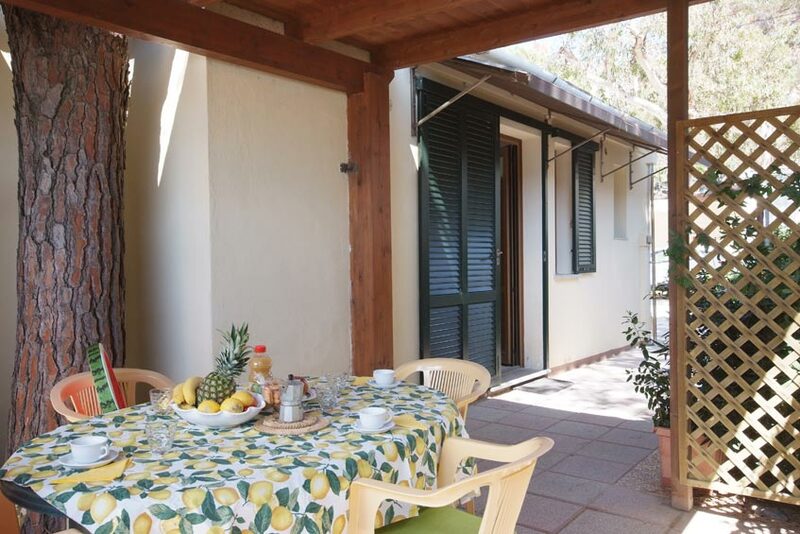 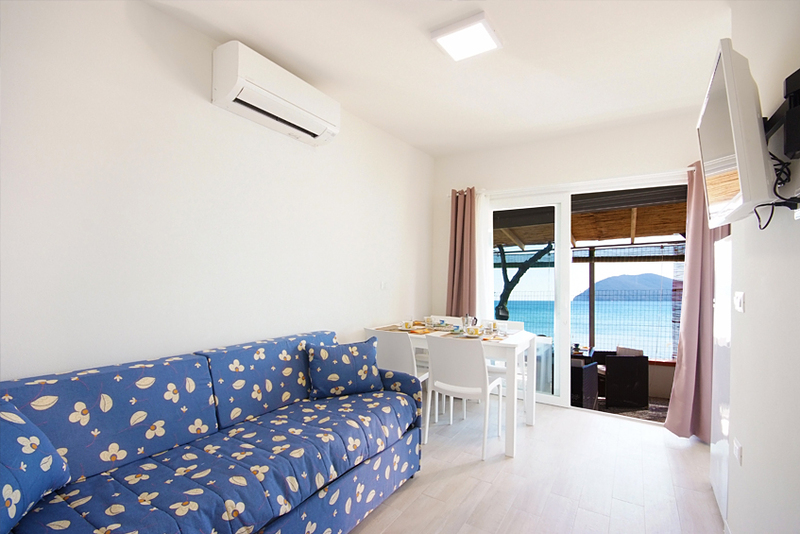 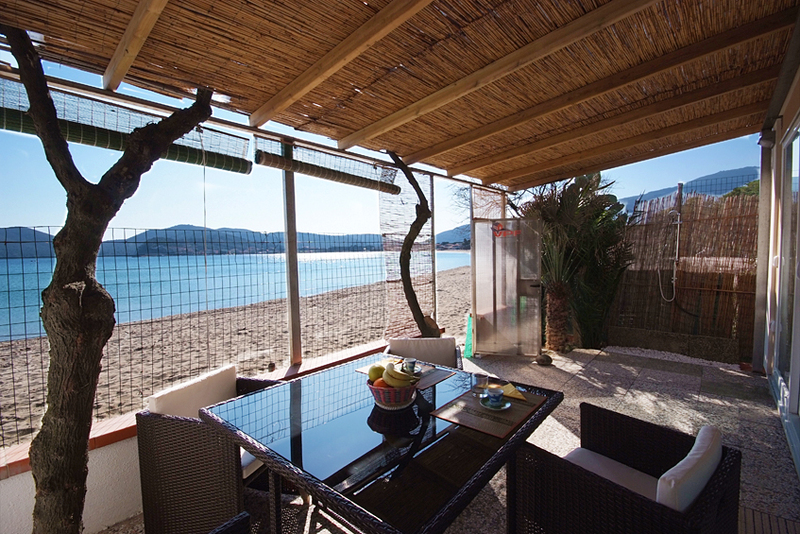 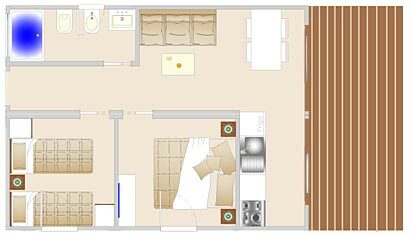 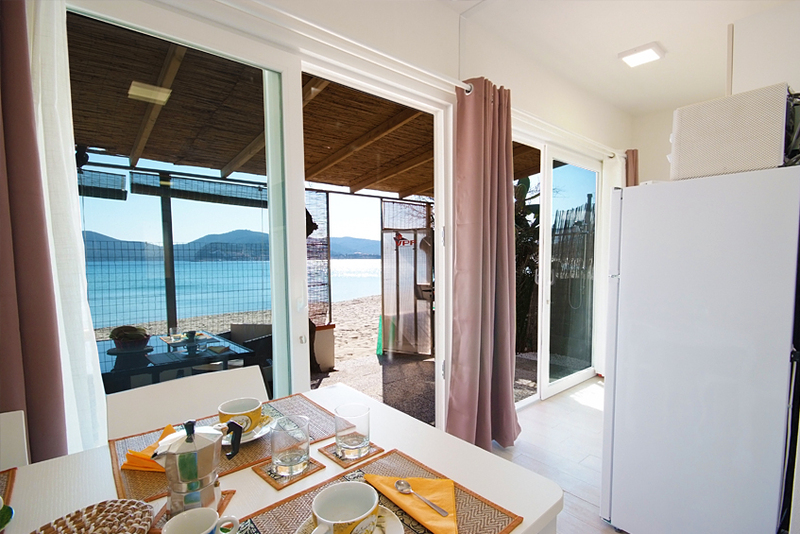 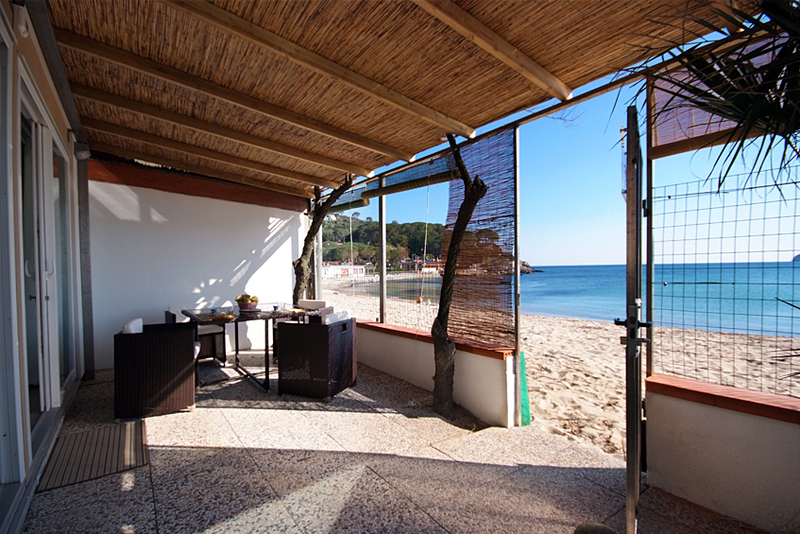 We have also a bungalow Type "VIP" with 3 rooms that sleep up to 4 people, and consist of: dining room with kitchenette, one bedroom with double bed, one bedroom with two single beds, bathroom with shower and bidet, patio with table and chairs, direct access to the sea. 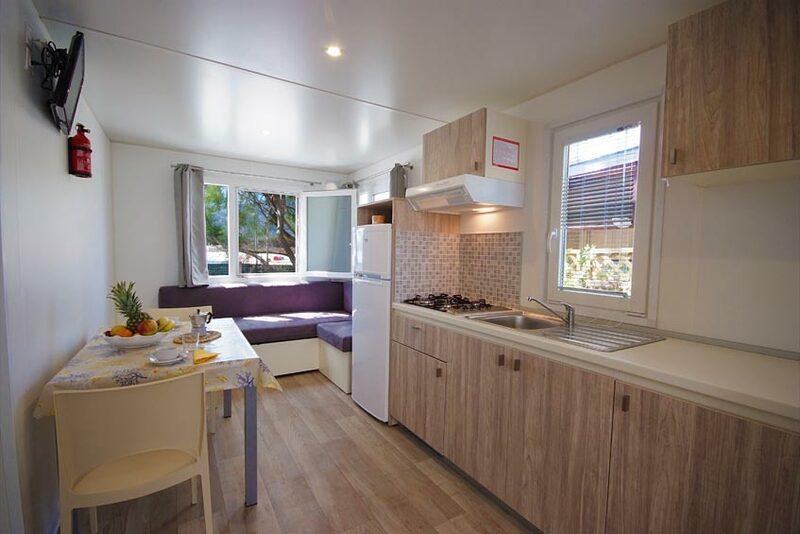 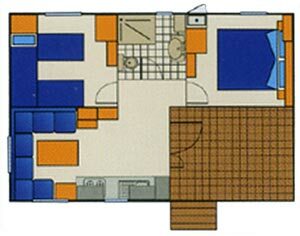 It also has air conditioning, Sat TV, microwave oven and fridge-freezer. 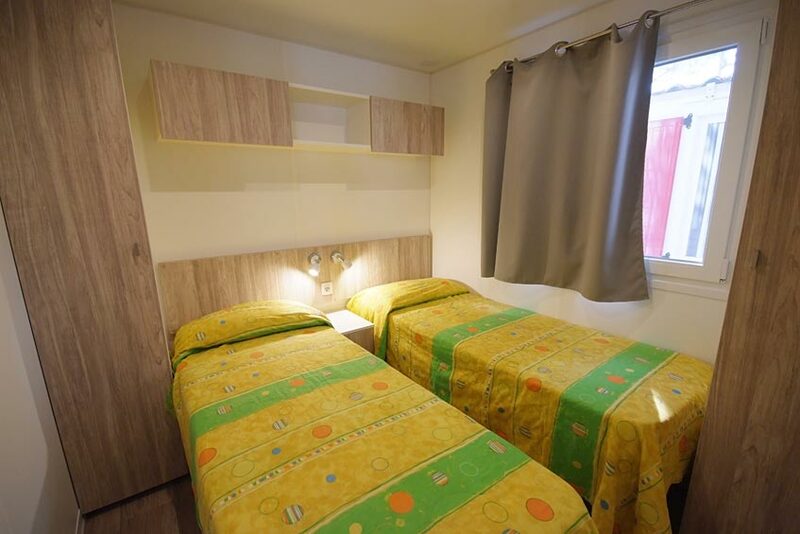 All the bungalows have 2 rooms that sleep up to 2 people, and consist of: dining room with kitchenette, one bedroom with double bed, bathroom with shower and bidet, patio with table and chairs. 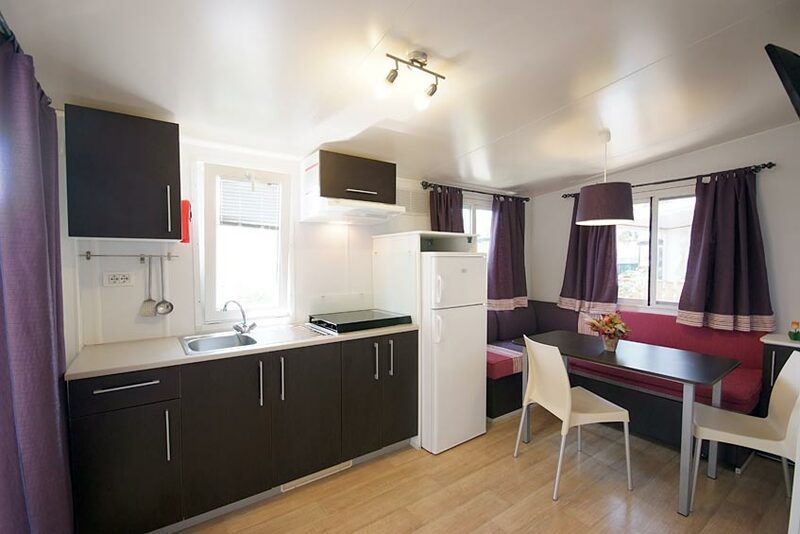 They also have air conditioning, Sat TV, microwave oven and fridge-freezer. 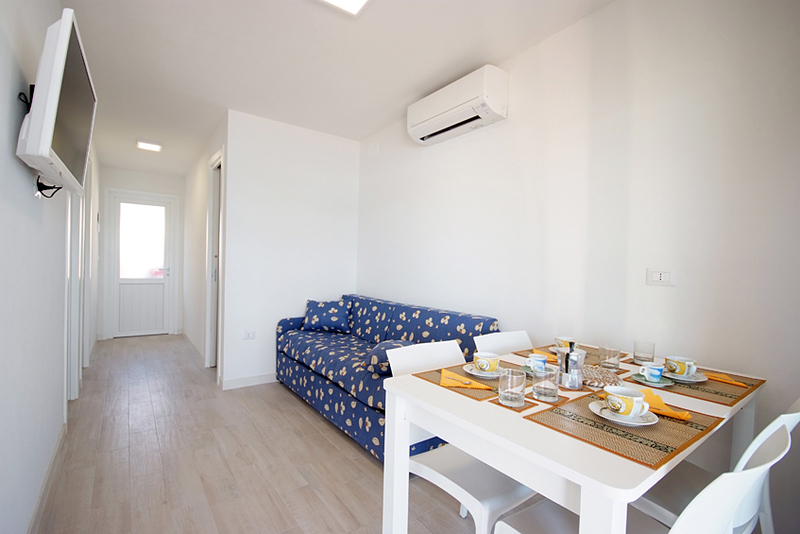 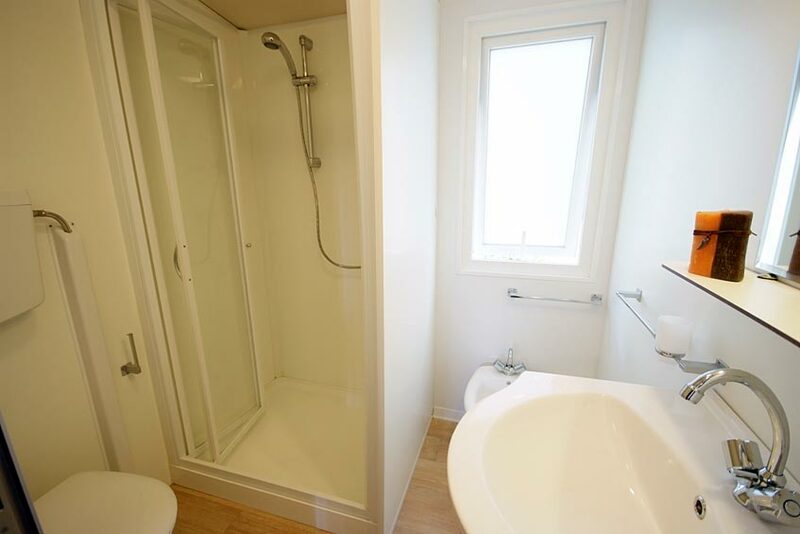 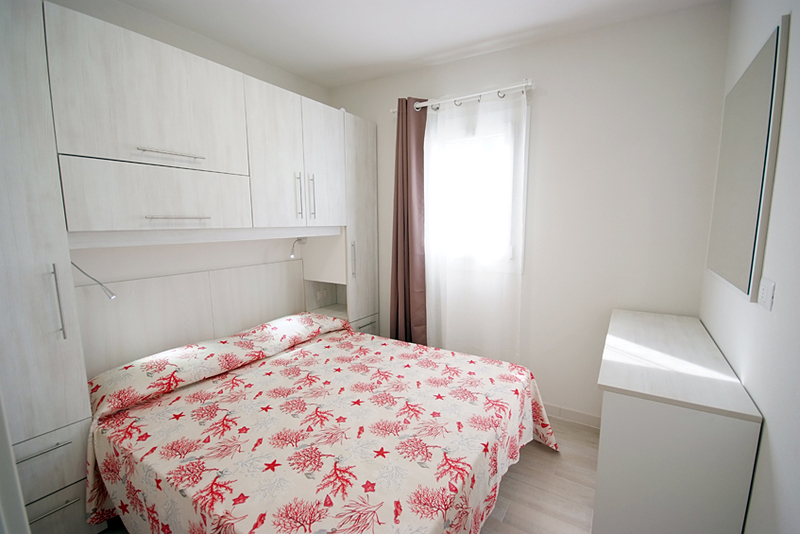 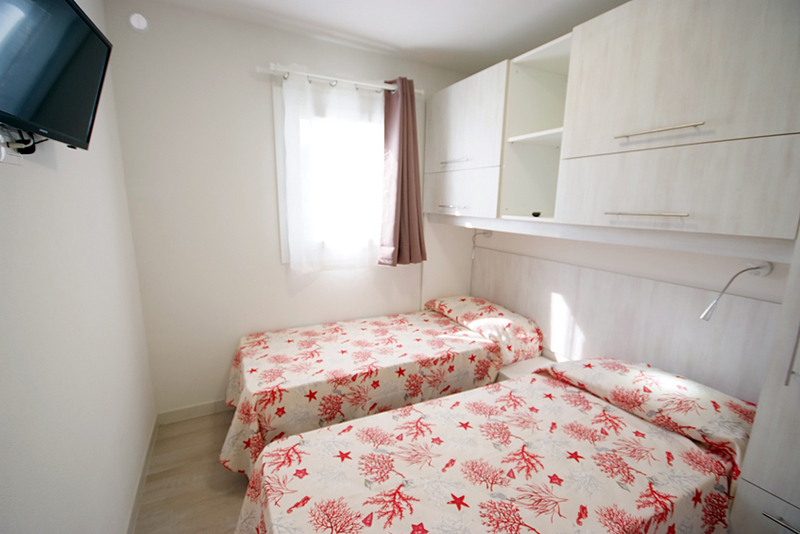 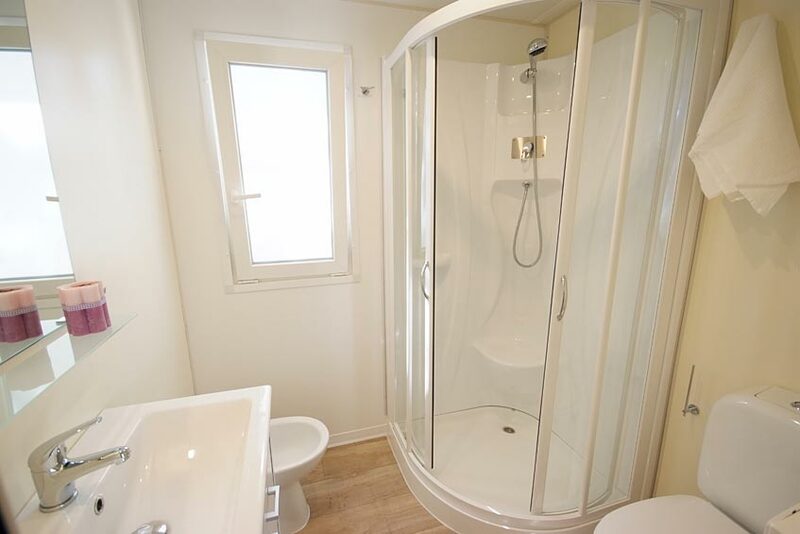 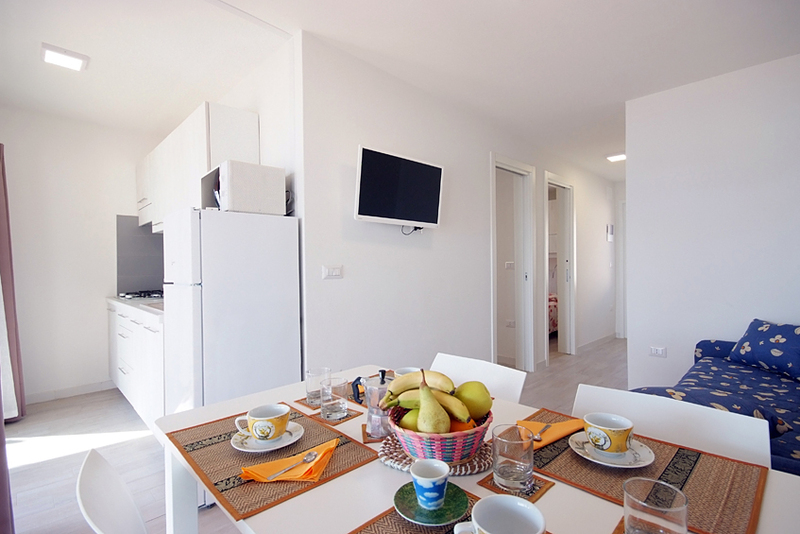 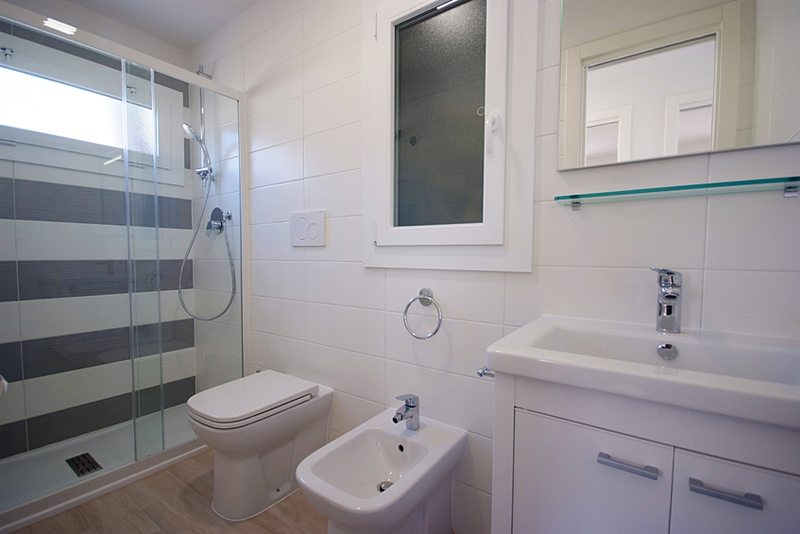 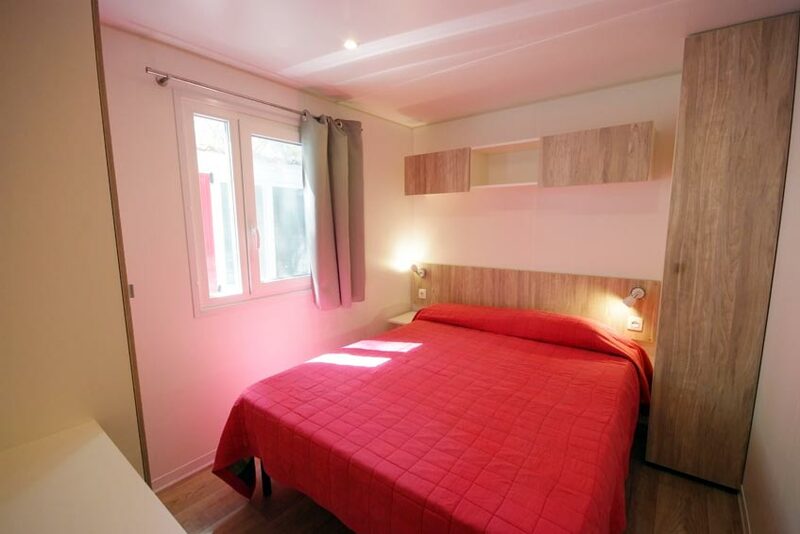 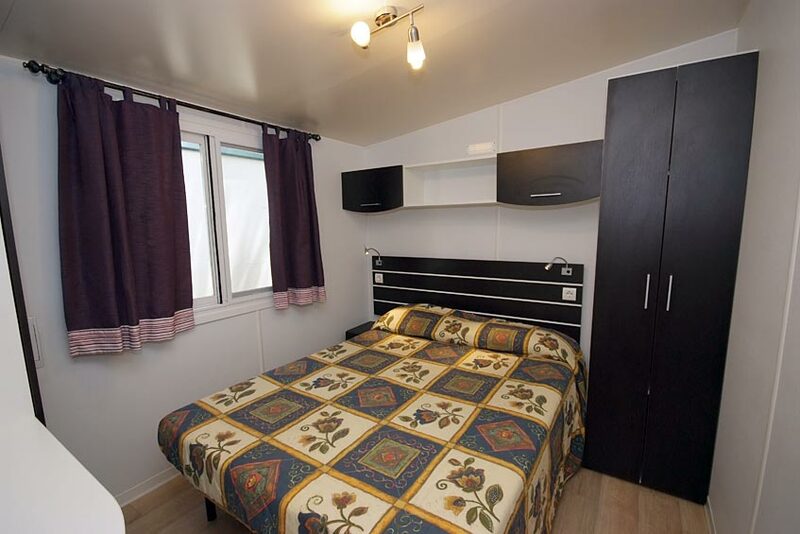 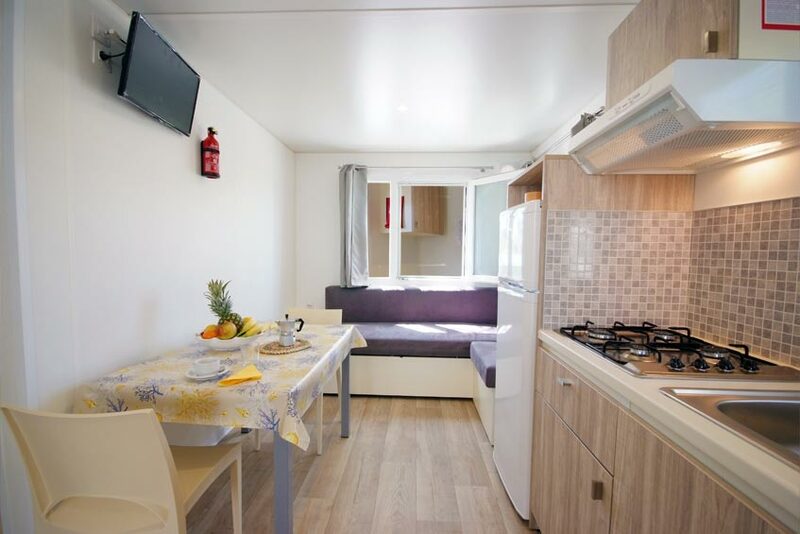 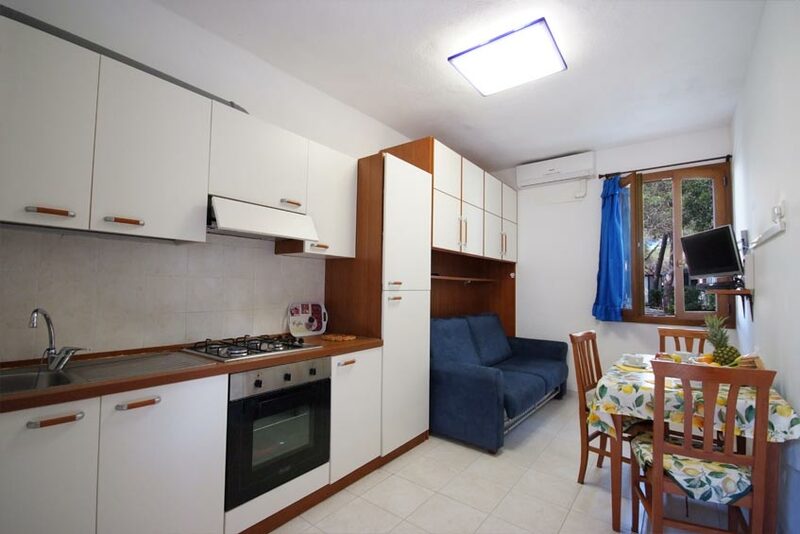 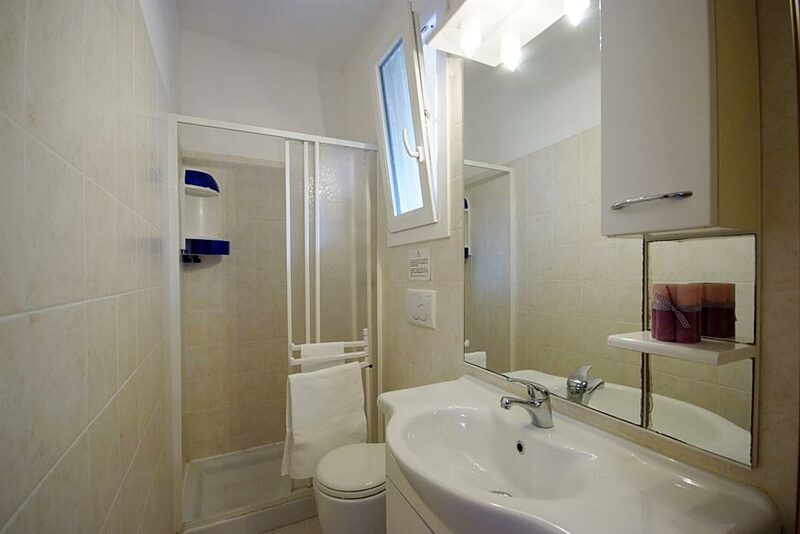 The 2-roomed apartment sleep up to 2 + 2 people, and consist of: dining room with kitchenette and sofa bed for 2 people, one bedroom with double bed, bathroom with shower, outdoor space with table and chairs. 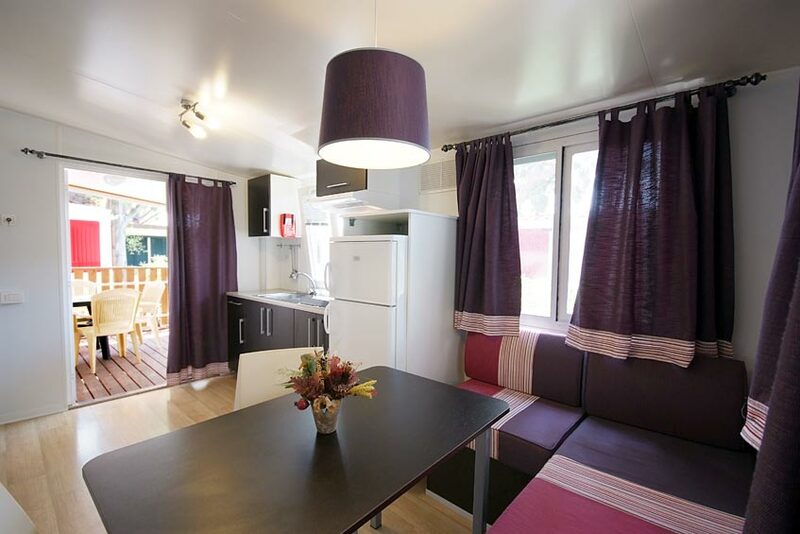 They also have air conditioning, Sat TV, fridge and oven. 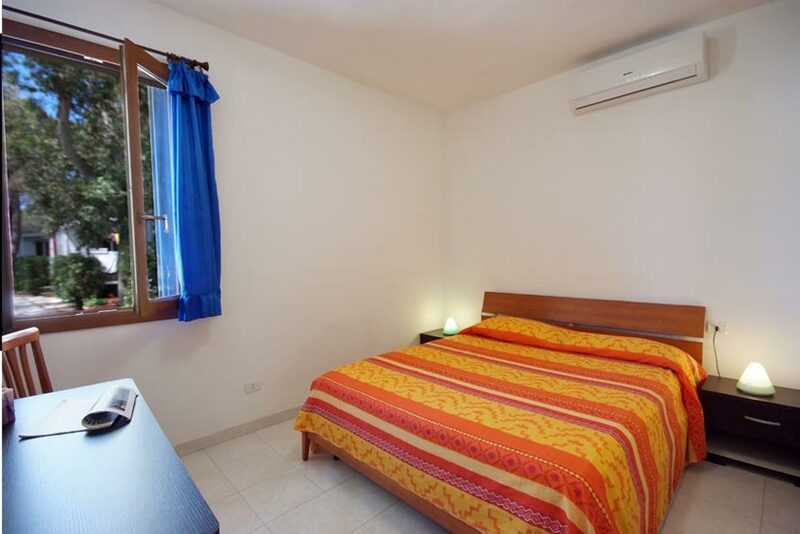 Extra 3rd or 4th bed in the dining room.